Vanessa Rene is Margaret's former neighbor and tutor, who has received a university education in IT and is currently a manager for Bookwald Industries. Some reviewers have estimated her age as early thirties. Vanessa's goal is to uncover the real reasons of the conflict in Gazth-Sonika. Being a strong-willed and self-confident woman, she travels there herself and receives Madlax as her bodyguard. Her parents got mixed up with Gazth-Sonikan politics when the war broke out and were subsequently executed, that is why Vanessa has a personal interest in discovering the truth. 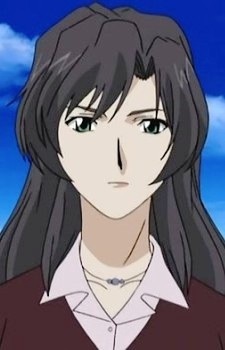 Having met Madlax, it is Vanessa who links the two personae of the original Margaret Burton back together.